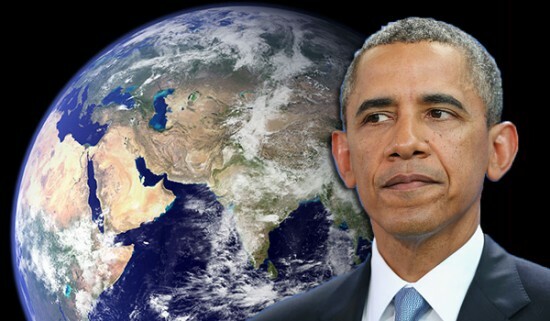 Poll: Most Americans Aren’t Willing To Pay More Than $1 A Month To Fund Obama’s Global Warming Plans…. Most Americans won’t spend more more than $1 a month in higher electricity bills to fight global warming, according to a new Associated Press-University of Chicago poll. Only 57 percent of Americans would be willing to spend the extra cash to fight global warming, according to the poll, and 39 percent said they’d spend up to $10 a month to stave off warming. The polling means that less than 40 percent of Americans are willing to pay for Obama’s Clean Power Plan. The plan, which is intended to slow global warming, is expected to cost a staggering $41 billion annually, which equates to about $10.74 a month for each American. Of the 1,096 adults polled, 77 percent said that global warming was occurring, 13 percent weren’t sure, and only 10 percent said it wasn’t happening. The research was paid for by the Energy Policy Institute at the University of Chicago.